Lamborghini has announced a new special model, the Aventador LP 700-4 Pirelli Edition, made to celebrate the long and ongoing collaboration with Italian tyre manufacturer Pirelli. The partnership began back in 1963, the year the 'House of the Raging Bull' was established, and since then all Lamborghini cars have been equipped with Pirelli tyres. The two firms share Italian origins. The new Aventador Pirelli Edition, available in Coupé and Roadster versions, will be manufactured in a special series and is available to order now for delivery from mid-2015. 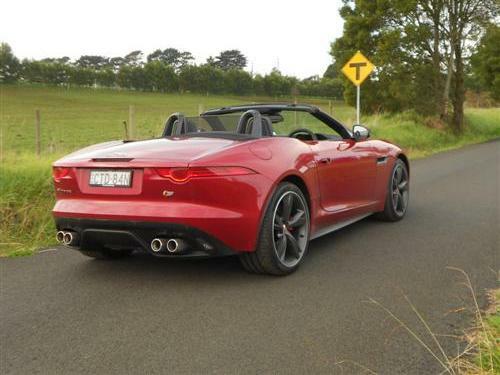 The super sports car maintains all its unique technical features - the carbon fibre monocoque, the V12 engine, pushrod suspensions and the permanent all-wheel drive. The special Pirelli series is enhanced by exclusive equipment specifically designed by the Lamborghini Centro Stile. The exterior has a two-tone colour scheme in two options. The first is matt black for the roof, the pillars, the rearview mirrors, the engine hood, and the front, rear, side and moving air intakes, in contrast with six glossy finishes for the rest of the body (Giallo Spica, Rosso Mars, Bianco Isis, Nero Aldebaran, Grigio Liqueo, and Grigio Ater). The second option is glossy black for the upper parts of the car and the air intakes, in contrast with four matt finishes for the rest of the exterior (Bianco Canopus, Nero Nemesis, Grigio Adamas, and Grigio Titans). Another distinctive element of the body is a thin red stripe that runs along the roof and the engine hood, the rearview mirrors, and the outer profiles of the air intakes, a stylistic feature designed to evoke the unmistakable Pirelli branding. The Pirelli logo, once again in red, is visible at the start of the two roof lines and on the tyres. Standard equipment for the exterior also includes the transparent engine hood, the engine compartment in carbon, glossy black Dione 20"/21" rims, P Zero tyres with red logo and red callipers (yellow only in the case of the Rosso Mars exterior). 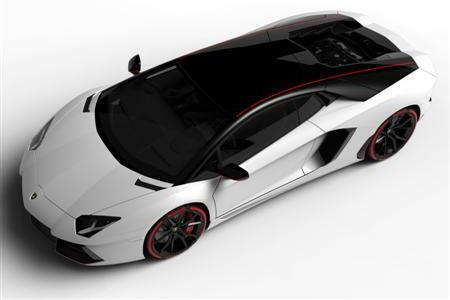 The interiors of the Aventador Pirelli Edition are upholstered with black Alcantara with red contrast stitching. The red stripe on the body is also repeated on the inside, running along the interior ceiling and the seats, which feature the Lamborghini and Pirelli crests embroidered in red. Leather inserts are on the door panels and the seat sides. To underscore its exclusiveness, each car will have a "Pirelli special series" plaque inside. The powertrain providing 515 kW (700 hp) at 8,250 U/min combined with the ultra-fast ISR transmission provides performance for the Pirelli model: 0 to 100 km/h acceleration in just 2.9 seconds.